Mon., 2 Sep. - Mon., 30 Sep.
Fri., 7 Jun. - Fri., 21 Jun. Fri., 8 Nov. - Fri., 15 Nov.
See all 44 properties in Eloy Alfaro Intl. This family-friendly Manta hotel is located near the airport, within a 10-minute walk of Murciélago Beach and Manta Port. Central Bank Museum and Universidad Laica Eloy Alfaro de Manabi are also within 1 mi (2 km). 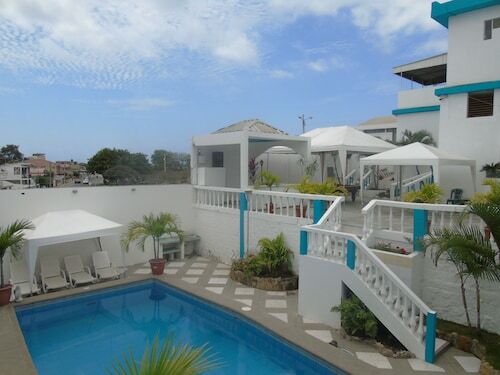 Situated in Manta, this hostal is within 3 mi (5 km) of Manabí Fisherman Statue, Central Bank Museum, and Manta Port. Murciélago Beach and Port of Manta are also within 3 mi (5 km). 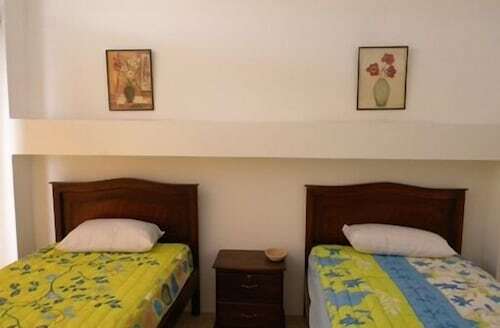 Situated in Manta, this aparthotel is within 3 mi (5 km) of Manabí Fisherman Statue, Central Bank Museum, and Manta Port. Murciélago Beach is 3 mi (4.8 km) away. 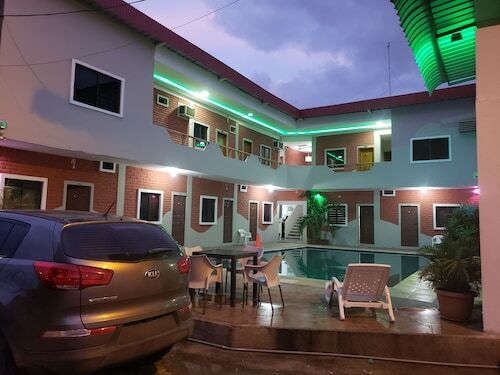 Situated near the beach, this hotel is 0.9 mi (1.4 km) from Universidad Laica Eloy Alfaro de Manabi and within 3 mi (5 km) of Murciélago Beach and Manta Port. Central Bank Museum and Port of Manta are also within 3 mi (5 km). 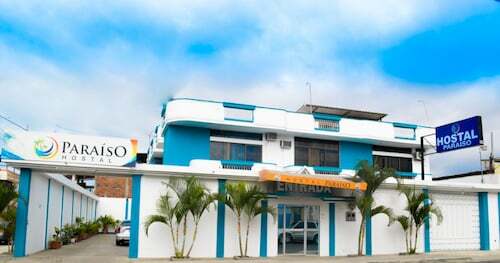 Situated in Manta, this hostel is within a 10-minute walk of Manabí Fisherman Statue and Central Bank Museum. Manta Port and Murciélago Beach are also within 2 mi (3 km). 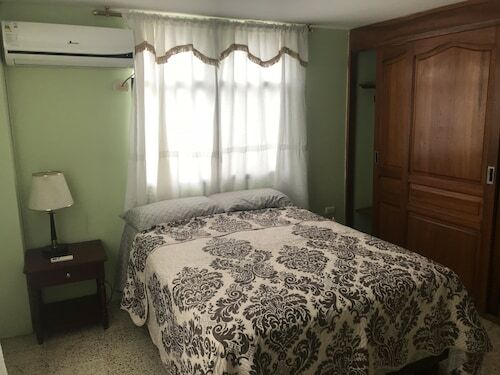 Situated in Manta, this apartment building is within 2 mi (3 km) of Central Bank Museum, Manta Port, and Murciélago Beach. Universidad Laica Eloy Alfaro de Manabi is 2.4 mi (3.9 km) away. Situated in Manta, this hotel is within a 15-minute walk of Manabí Fisherman Statue and Central Bank Museum. Manta Port and Murciélago Beach are also within 2 mi (3 km).